Discussion in "Project Help" started by kks Mar 1, 2018. I also tried connecting the +ve to 12v and - ve to Gnd, still not working. Help me out here! It can be switched on and off by logic, or tied high, but not both. Disconnect EA from pin P2.3 or the 5Volt supply. If using P2.3 , set it high when the motor is running. Vcc is 5 volts, by connecting to 12v you may have damaged the chip. Worse, 12 volts may have fed back onto the main board and damaged it. I don't know whether i damaged it or not. The board is behaving strangely though. Sometimes it works, sometimes it doesn't display anything on the Lcd with the same connections. I have given both 5v and 12v both to vcc. I even tried giving 12v to the + V - pins. But whenever i try to give 12v to either vcc or - /+, the lcd brightens up a little more and the text that was appearing before disappears. Plus there is the problem with the Gnd connection. 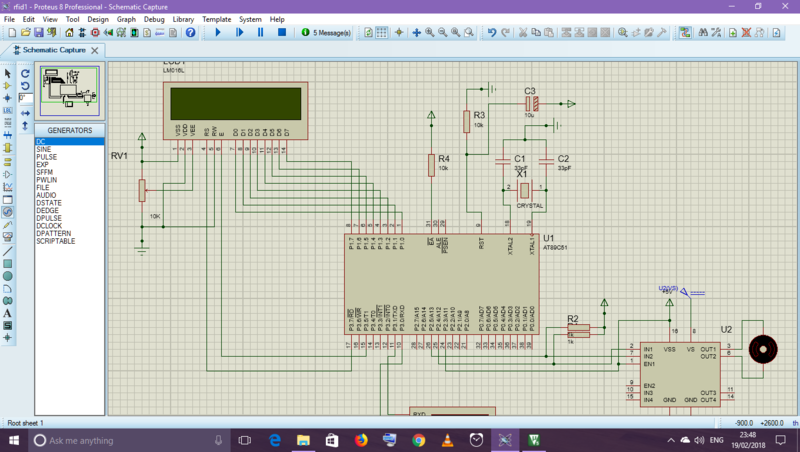 Doesn't matter what i do as soon as i connect the Gnd pin to the gnd of microcontroller, the board doesn't work. What should i do? The first thing is to check the microcontroller. 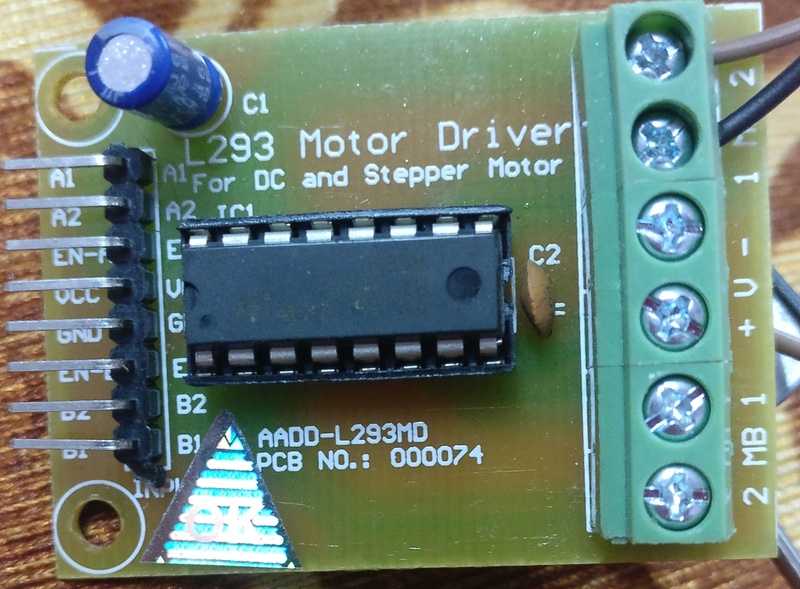 Disconnect the motor driver board completely. Does the microcontroller board (the main board) work normally ? Yes it works fine enough. I have successfully managed to run the program without the motor driver module. When i give Gnd then on giving Vcc Lcd stops working and vice versa. It sounds very much like the driver module is damaged. Do not connect Vcc to 12 volt. 😔 Guess you are right. Isn't there any other way in which i can run the motor? As this is an academic project, do you really need a motor ? Can you use another way to indicate a door being unlocked.. say an LED ? Getting a motor to go one way then the other is quite difficult. You can use relays,but I assume you don't have any. The L293 chip is the simplest way. How much current does your motor draw ?